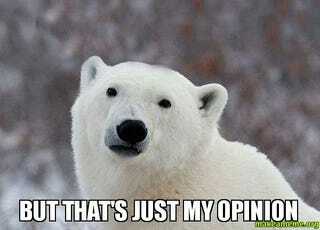 That saying "that's my opinion" in a statement in giving your opinion is redundant? Of course it is! You're saying it! If it isn't your opinion then cite whose it is!